A animal behavior specialist investigates a fatal bear attack in a small Florida town. As he observes the lone survivor, he suspects that there is something much more sinister than a bear in the woods. 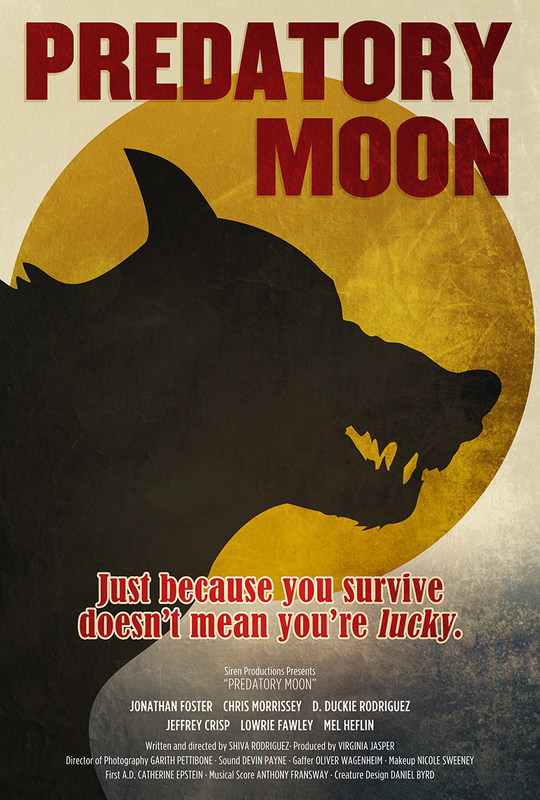 Our second feature-length film, Predatory Moon began filming in the spring of 2013 on a micro-budget of $28,000.00. This character-driven werewolf story utilizes 100% practical effects and an impressive cast portraying emotionally broken characters. The film was released on Amazon Prime in October of 2017.